Firstly, Alan Yuen’s crime action blockbuster “Firestorm” is no match to the far superior “The White Storm”. Secondly, Gordon Lam is by far a better actor than Andy Lau and justifiably steals the show in his first true leading role. Finally, this is a good film, but suffers with an obvious padded up ending to satisfy Mainland censorship. The good news is that at the very least Mainland Chinese actor Hu Jun plays the mastermind villain. Still, there are a lot of fine points that stops “Firestorm” from taking the winter blockbuster mantle. The film clearly works to a certain degree and even evokes moments of a far better trilogy of films in “Infernal Affairs”, but as the audience walks out of the cinema, it all feels rather empty. “Firestorm” is an entertaining film, with some fine performances, steady direction and even an adequate script. However, the audience pretty much stops emoting after mourning the death of the father and daughter, despite reaching an emotional high. Still, there is a lot to like about this film, even if it is not entirely successful. Andy Lau headlines another blockbuster role following his walk of shame in the atrocious “The Switch”. Lau redeems himself adequately in this role and there are moments that he even manages to pull off a difficult and complicated character that is on the verge of crossing both sides of the law. Not unlike his role in Infernal Affairs, Lau almost corrupted himself totally after a string of events that changed him, it is notable how in an earlier scene, Lau is a man of principle to the point of putting rubbish in the bin by getting out of the car in the middle of an operation. How he was not seen by the potential crooks is entirely another plot hole issue. However, the real star of the show is Gordon Lam who has been waiting on the wings with plenty of quality supporting roles throughout the past decade. “Firestorm” is simply a vehicle for Lam to shine through as he owns the screen with his dogged determination for love, robbery and money. In fact, it is no understatement to claim that Lam is the key for holding all the piece of “Firestorm” together. Hu Jun appears for a zillion Hong Kong movies of the year and refreshingly as the bad guy. 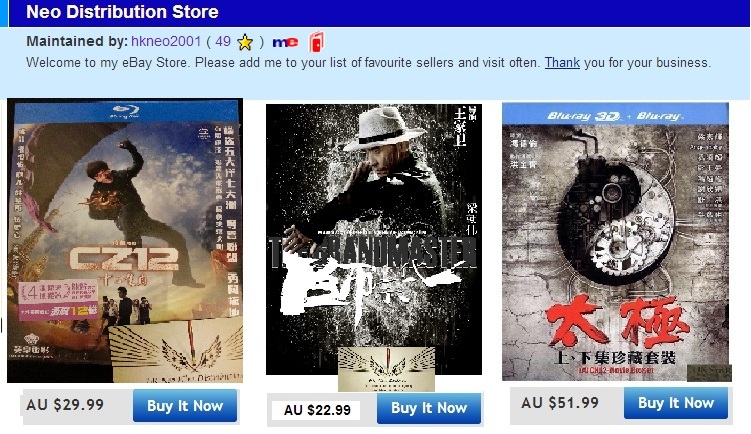 Hu Jun have all the hallmarks of a classic villain, sly smile and seemingly deep outlook. His war of words with Lau is always fun to watch. The film had its Asian premiere at the Shanghai International Film Festival. Johnnie To’s latest romantic comedy / crime thriller is really a mixed bag where the film relies more on the relayed chemistry between Andy Lau and Sammi Cheng; than the actually story and on goings itself. This is not necessary a bad thing as Lau and Cheng more than provide enough laughs, fun and effortless playing of one another to make “Blind Detective” far more entertaining than it should ever really be. In many ways “Blind Detective” plays like a lot of Johnnie To’s past resume, namely the awkwardly similar detective techniques that was so vividly seen in far superior “Mad Detective” and the heavy reliance on the already established chemistry between Lau and Cheng. Lau tries hard to act in this film and somewhat redeems himself after a faltering of a performance in “Switch”. As a blind man he is certainly more entertaining to watch than Tony Leung in “Silent War”, but that isn’t exactly saying much. There is little depth in his character other than the fact that he is smart, quick witted and enjoy indulging in richness. Sammi Cheng shines and almost overshadows the “man” of Hong Kong as his sidekick and steadfast and predictable love interest. Cheng provides the audience with the humane bridge to the film and many of her inter-plays and reactions to Lau are simply priceless to watch. Cheng has matured as an actress and although this may not win her any awards, there is depth in her character that the audience can instantly identify with. A vivid portrayal of the life after the Vietnam War. Ann Hui On-Wah has always been a social director, someone with an eye for real people living life in their own tough ways. Hui always emphasise that people will forever be a product of their own context and even the more recent attempt in the veins of “The Post-modern Life of My Aunt”, people of the past have to either change or adapt into the ever rapidly changing society. 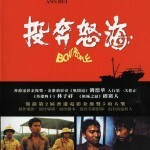 A little over 25 years ago, it was about life after the Vietnam War and how people are forced to do things due to the situation of their time. 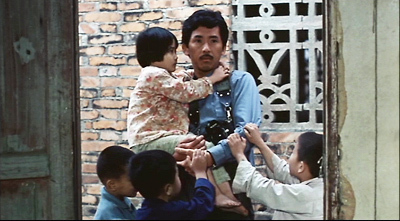 Hui is not afraid of asking the big questions, are all the images that we see within each photograph from the Vietnam War just a construct or were they really what we think we are actually seeing. The harsh reality may well be tough to take, but in truth, life is never meant to be a walk in the park. Perhaps, it is the notion of cliché where people watch or see how there are less fortunate people, that we truly reflect upon our own lives and realise just how trivial our problems really are. Still, it is human nature to desire and wanting to have something better and it is perhaps this goal/aim that defines our very existence. History tends to repeat itself over and over again and with that being said, the same process seems to go through my life all the time. People come and go almost as rapidly as the hotel room of 2046. An outsider might find this life rather colourful, where everything is always short-lived, always someone new around the corner, but at its very core the person within the room isn’t contended, but the sad part of the affair is that there isn’t much he can do about it. Like everyone within the Boat People, fate has already befallen them; digging up mines within minefields with bare hands isn’t exactly the smartest way to survive. Yet these people still want to live on and dream on, hoping that a better life is just around the corner and perhaps freedom. The moment when Andy Lau finally reaches his freedom, it was an ironic moment that his life ended up on his pursues of a dream, rather than the expected land of digging up minefields. However, as those who know Neo, he is just someone that just doesn’t know when to give up, but then again, who knows what the future holds. That perhaps, is the beauty of life along with the hope and dreams that lies along the pathway of ones’ soul. This is most likely legendary singer George Lam’s greatest acting performance, while he have always been a wooden actor, Lam made used of his limited range to almost perfection to the role of a Japanese photographer venturing into the lives of others. His stoic and wooden appearance is well compensated by his sympathetic look as he befriends a family of children and the moment he realises the truth behind the concentration camp. Also in the mixing is the future superstar in Andy Lau, making his silver screen début in nothing more than a glorified extended cameo. While Lau’s acting is raw, director Hui cleverly exploited this and in the end, Lau more than handled his role to some degree of success.